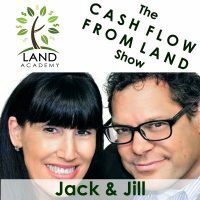 Steven Butala: Today, Jill and I talk about building your real estate team. Jill DeWit: Oh boy. You know what? I love this topic. Jill DeWit: Because hiring is just so … I’m being sarcastic, right? Steven Butala: Who wrote this stuff? Jill DeWit: I … I … ugh. Let’s be honest. Every person out there who listens, who has any capacity and you’re ever related in hiring, whether it’s for yourself or your company or whatever, you know what I’m talking about. It’s hard. Steven Butala: With an old neighbor of Jill and I’s from Paradise Valley. He has a company that staffs IT people. This is what he’s been doing for years and years and years, very successfully apparently. Steven Butala: “I need to hire some staff, and lickety-split because we’ve got deadlines and the whole thing and the guys before the people I’m about to hire, they jacked this thing all up with passwords and we can’t get in there.” His new model is, “That’s fantastic,” if he believes in the business model, if he believes in what they’re developing, he says, “That’s great. I’m gonna charge you my cost, but I want 20% of your company now.” That’s how bad it is. Steven Butala: That’s how nuts this is. Jill DeWit: It’s like holding them hostage. Steven Butala: That’s how hard it is to hire good people. Steven Butala: It’s like that for not just IT. Jill DeWit: Can you imagine? Wow. Well, what other jobs do you think? Steven Butala: I’ve got a feeling this whole show is gonna be a big rant, on both of our parts. Jill DeWit: And get a great job on Tuesday. Steven Butala: Health care. I think if you’re a nurse you can work anywhere you want tomorrow, or if worse comes to worst, you work for like a staffing agency which is what these IT guys do. Steven Butala: And they [inaudible 00:02:32], not nurses, but … nevermind. All right. Steven Butala: Before we get into this rant, I’m sure it’s gonna be, let’s take a question posted by one of our members on the Land Investors Online Community, it’s free. Steven Butala: Jason, I hope it’s the Jason that lives close to us. Jill DeWit: Wow. This is the first time that I’m reading this. Wow. This is awesome. Steven Butala: You know what? It’s not gonna be a rant now. I’m happy. Jill DeWit: Any guidance or advice would be appreciated. Thanks. Jill DeWit: Interesting. Can I make a comment? Steven Butala: I was just thinking the same thing. We’re gonna talk about health insurance today? Jill DeWit: I didn’t know that these questions were in there, but I am not surprised by this. This is a valid point. So many of our members, if you’re doing it right, you’re letting your wife quit her job or you’re getting ready like Jason to quit their job because you’ve reached that point in your business where you’re doing so well and like we always advertise and promote is basically don’t quit your day job yet. Wait until it makes stupid sense to do it. So Jason’s obviously there. It’s now like my day job is costing me money. I have to leave. That’s so awesome. Steven Butala: He’s been with us, if it’s the Jason I’m thinking of, at least a year, maybe year and a half, maybe two years. Jill DeWit: It’s so cool. His day job is obviously costing him and so he’s 60 days now and doing the countdown like, “All right, I’m getting ready.” I’m assuming he has so much money in the bank and everything is saved up to last him at least a year. Steven Butala: Six months to a year of fixed expenses you want to save. Steven Butala: And that’s not acquisition money, either. Steven Butala: You want to have a bunch of assets sitting around too that if you have to liquidate, like real estate, if you have to just liquidate it for even cheaper than you paid … actually, we have a show coming up about that. Steven Butala: We have a show like in three shows from now. Jill DeWit: Cool. That’s … so I … what do you want to say about this? Steven Butala: If you’re in California, check out Blue Cross. It’s totally affordable. Steven Butala: I would stay away from the self employed. Just call in and say you need insurance. Steven Butala: I need individual insurance, not the self employed. It’s all … they play games like that. Jill DeWit: Like small business. Steven Butala: In my opinion, it’s just tell insurance companies as little as possible to get them to do what you want. Jill DeWit: That’s your philosophy about everything. Steven Butala: It is. It’s my philosophy in marriage. Jill DeWit: Oh, yeah. Thank you. Jill DeWit: What don’t I know? Steven Butala: All arguing starts with talking, that’s my theory. Steven Butala: If there’s no talking, or very little talking, there will never be arguing. Jill DeWit: How much don’t I know about you? Steven Butala: See, that’s why you’re still interested in me. Jill DeWit: Give me a percentage. Oh my gosh. Steven Butala: If there’s no mystery or you know … if you do every single … this is a problem with women. They want to know everything. Steven Butala: They want to get in there. Steven Butala: I had a woman say … I had a girl say this to me a lot of years ago, she said this sentence, “If I could just get in there deeper, we could really have a good relationship.” That was it. Steven Butala: I was done. Jill DeWit: No. You know what? Here’s the thing. Steven Butala: Shed some light on this, please. Jill DeWit: I will shed some light. This is not all women, this is me. I don’t want to know all your deep or dark secrets, but I do want to know before there’s a policeman knocking at the door, that’s as much as I want to know. Even five minutes before, if you could just give me … not that this has happened, but I’m just saying. Steven Butala: You’ve seen all the tax returns. Steven Butala: I do not have a criminal record. Jill DeWit: I’m teasing you. I know you don’t. Steven Butala: That’s all we need to talk about. Steven Butala: How about you? Jill DeWit: Neither do I.
Steven Butala: Let’s go have fun today, then. Jill DeWit: There we go. That’s all we need to have a great relationship. Steven Butala: Yeah, get your stuff all straightened out, Jason, and hopefully … I wish you the best. I hope that you look back and say, “Man, I should have done that a year ago.” Then you did everything right. Jill DeWit: That’s a valid thing, though. That’s a scary step for a lot of people though, making the transition to what do you mean I’ve got to pay my own health insurance? You know what? It’s like everything else. It’s taking care of your own vehicles and your home and all that good stuff, you just have to look at it like that. It’s not scary, it shouldn’t be scary. Steven Butala: I’ve been “self employed” since 1997-ish. I don’t know. It’s a way of life for me now. Steven Butala: Even back before that, I’m not sure, I was all commission, so there was no health insurance with that in commercial real estate in the early ’90s, so the mid ’90s when we were doing all that, I worked for a big company, and we had health insurance. I don’t sweat that stuff. I don’t know why. Steven Butala: Probably because I have you. Steven Butala: Because you do it. Jill DeWit: Thank you. I just … anyway. Moving on because we could talk about this for a while. Steven Butala: Here’s a funny thing about insurance, Jill and I are at the age now where our car insurance is next to nothing, but our health insurance is a lot higher, so it just shifts. It just goes to show you that you can’t get away. Steven Butala: You can’t get away from it. Steven Butala: Today’s topic, building your real estate team. This is the meat of the show. Like it or not, you’re only as good as the people that you have working with you or mentoring you or whatever stage of the career you are. A lot of times I sit around and I think, “I hope my staff’s not … “, first of all, “I hope the staff doesn’t listen to this show.” For a lot of years, I have been, and don’t take this the wrong way listener, the most experienced, probably the most intelligent person in our office. That took a lot of years for me to get used to, because that’s not a good thing. I don’t want to be … you need to learn. You need to surround yourself with people that are smarter than you are, who hopefully don’t have as much of an open mind as you. Because I worked with some heavy hitter real estate guys for a lot of years and they didn’t see the value in land. Look what we’ve done with it. Jill DeWit: Right, that’s true. Steven Butala: So I learned a lot from those guys and applied it to a different product niche, like we talked about yesterday and it worked out great. Steven Butala: You have to surround, it’s not so much … I don’t mean building your real estate team with people who work for you, I mean virtual assistants, anybody who … like an escrow agent. We have a great escrow agent in Arizona right now. She is solving problems left and right. That’s a good thing, but you have to be … I will tell you if there’s one major mistake that I keep repeating in my career, and I’ve been doing it since the beginning, I don’t get rid of the people that are on my team, whether they’re W-2 people or virtual assistants, I don’t get rid of them fast enough. Steven Butala: I think we’re both like that. Jill DeWit: I’m here to tell ya. Steven Butala: Oh, you’re here to tell you about me? Jill DeWit: That’s true. I’m here to say that that’s true about you, sorry. I don’t think I’m … I don’t want to throw you under the bus here. Jill DeWit: I don’t think I’m as … I don’t hang on to them. What’s so funny, I don’t think I hang on to them or try to hang on to them as long as you do, which is so interesting because in everything else about your life, everything, you’ll throw it out so quick. I’m like, “Wait a minute. We can still use that for X.” Stuff around the house, sporting equipment. Steven Butala: Not throw it out, we donate it. Steven Butala: Wow. Let’s disclose everything about our personal life, want to? Steven Butala: I’ve read too many things on this topic that say turnover is expensive. Steven Butala: I try to find places for people, if they’re not working out in this, then put them over here. Jill DeWit: Maybe they can work there. Steven Butala: If that doesn’t work, put them over here. What I’ve learned is you can’t solve attitude. Jill DeWit: You can’t solve ambition. Steven Butala: And you put them somewhere else, they’re just gonna not be detail oriented there. Steven Butala: There’s a bunch of other, we can really … well, this is what the show’s about. Jill DeWit: Yes, building your team. Let me … here’s what I think this show means to me. Steven Butala: How about we say the correct way to build a team. Steven Butala: Staff around that. Steven Butala: Staff around what you don’t like. Jill DeWit: Let’s just say you hate the paperwork part, you hate the posting property part, you hate the talking on the phone part, I mean any one of those. Those will be the first things that you want to staff up with your team. There’s ways that you could cheaply do them, like maybe it’s answering the phones. Fine, do [inaudible 00:13:20]. That’s fine. Saves you a lot of time. Steven Butala: Yeah, this is a day and age where you can outsource a lot of stuff. Steven Butala: You don’t need a person. Jill DeWit: No. You could have a VA doing all kinds of … doing your deeds, doing your paperwork. That’s a great thing. At some point, you’re gonna need somebody in-house to manage all of that, and so for me that’s the next phase of building a real estate team. Now you need to kind of replace yourself a little bit so you can go off and even do bigger and better deals, maybe focus more on the mail. Look at different counties. I’m just thinking about even the way we grew. I kind of think what’s funny … that was kind of my role for a little bit. I think that you … when we started to do our business together, I was part of your team, because you had this business first and I was taking a lot of pressure off of you and the things that you didn’t like to do, whatever, and then it got to the point where then I replaced me and that’s kind of a natural progression in building your team. Steven Butala: What you really want to be careful about, you want to ask yourself a lot of questions before you add staff or add resources that cost money. The only reason you should ever do that is because it’s going to yield more deals, or it’s going to yield more revenue. The conversation you need to have with either yourself or your partner is all right, so I’m gonna take on a full-time employee that’s smarter or better at this stuff that I don’t want to do because I’m gonna go back over here then, get to the grass roots of what I’m trying to accomplish and do more deals. She or he is gonna let me do more deals. Jill DeWit: I’m gonna feed them. Steven Butala: They’re gonna free me up. What you don’t want to do is take on more expense and not counterbalance it with more revenue and grow. Steven Butala: You want to make sure that absolutely … I see a lot of people do that. I’ve seen people … this happens a lot, they take on somebody, it doesn’t work out or they’re not mentally set up to do three times more deals to grow. They let them go, and then they just revert back to it. They revert back to doing five deals a month. Jill DeWit: That’s a bummer. Jill DeWit: I hear you. Steven Butala: Being an entrepreneur, everybody thinks it’s like “I really need to learn about real estate.” That’s only half of it, unfortunately. The other half is stuff we’re talking about. Jill DeWit: You’re right. You are exactly right. So much of what we do when you think about it, it applies to every business is what you’re saying. It’s not just having your real estate team and doing what we do. It’s every business. I love it. Steven Butala: More than half of the people I know in the rural vacant land business, not our members, because I really don’t know exactly what they do, but before we had Land Academy, we had and have a land company, Land Stay it’s called, S-T-A-Y. I would do the auction circuit and then we started sending out mail and we eventually stopped going to auctions, but I got to know all these people, and I’m gonna say more than half had children, their children, or maybe other family members who maybe were looking for a job fill in and it became their permanent situation. Jill DeWit: That’s awesome, because he’s just put down the bottle? He’s got a reason to live. Steven Butala: Why does Uncle Charlie have a bottle? Jill DeWit: How are you gonna save him? That’s my question. Steven Butala: Because everybody needs something to do. Jill DeWit: You saved his life, like, what? Was he about to jump? Steven Butala: No, everybody needs something to do. You can’t just sit around and do nothing. Jill DeWit: I like building your real estate team … wait, wait. Here’s my new show topic. Here’s the title. Building your real estate team, aka, saving a family member from a life of whatever. Jill DeWit: Gambling and alcoholism. Steven Butala: Oh my gosh, Jill. Jill DeWit: Poor Uncle Charlie. Steven Butala: Everything becomes some kind of … on this show, everything becomes awful. Jill DeWit: Oh my gosh. Well, that’s … what can I say about that? I can’t. Steven Butala: Well, you’ve done it again. You’ve spent another 15 minutes or so listening to the Land Academy Show. Join us next time where we discuss when or when not to partner a deal. Steven Butala: You are not alone in your real estate ambition. Uncle Charlie’s drunk huh? Jill DeWit: He is. You said you can get him cheap and save him. I’m like, what are you saving him from? What if he’s happy at home collecting unemployment right now? Steven Butala: I have an equal number of stories … I have an equal number of tragic stories and beautiful ending, ride off into the sunset stories about working with family. Steven Butala: Well, you’re a glaring example of how it’s all worked out great. Jill DeWit: Aww. Thank you very much. Steven Butala: But there’s been people in the past. All of our kids have worked for us at one time or another and actually that’s all worked out pretty well. Jill DeWit: That’s worked out well. Steven Butala: Some people. There’s a lot of people who can’t work with their spouse, the vast majority. Jill and I, the truth is, Jill and I have actually considered holding a seminar on how to make it work. Jill DeWit: Oh, there’s stuff coming on this. Jill DeWit: Oh yeah, yeah. Steven Butala: See what don’t you tell me? If I could just get inside there, Jill. If I could just get a little deeper inside of your head, I would feel better. I would find my zen and geez. Steven Butala: I’m so glad I don’t know about this. It’s beautiful. Jill DeWit: That’s not gonna happen. Steven Butala: There’s a bunch of businesses I’m working on too that you don’t know about that may or may not happen. If we want to move forward on it, I’ll let you know. Jill DeWit: I like that. That’s the way I think we should roll. Steven Butala: What’s this couples thing? Is it a book or something? Jill DeWit: It is a book. Steven Butala: Can I be part of it? Jill DeWit: You may certainly be part of it. Oh you’re in it. Oh, it’s all about … it’s good. Share the fun by subscribing at iTunes or wherever you’re listening, and while you’re at it, please rate us there. Steven Butala: Sorry, I did it too fast. Steven Butala: Undervalued property. Teleprompter woes.